Wear your love of Pokemon with this stylish Eevee Hat! 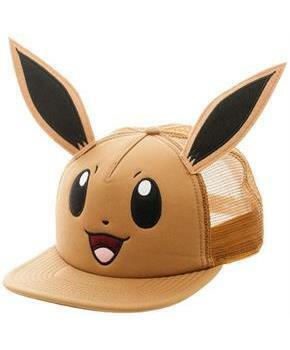 Brown snapback cap features Eevee's face with 3D ears attached on top. Adjustable, one size fits most. Officially licensed. Wear your love of Pokemon with this stylish Eevee Hat! 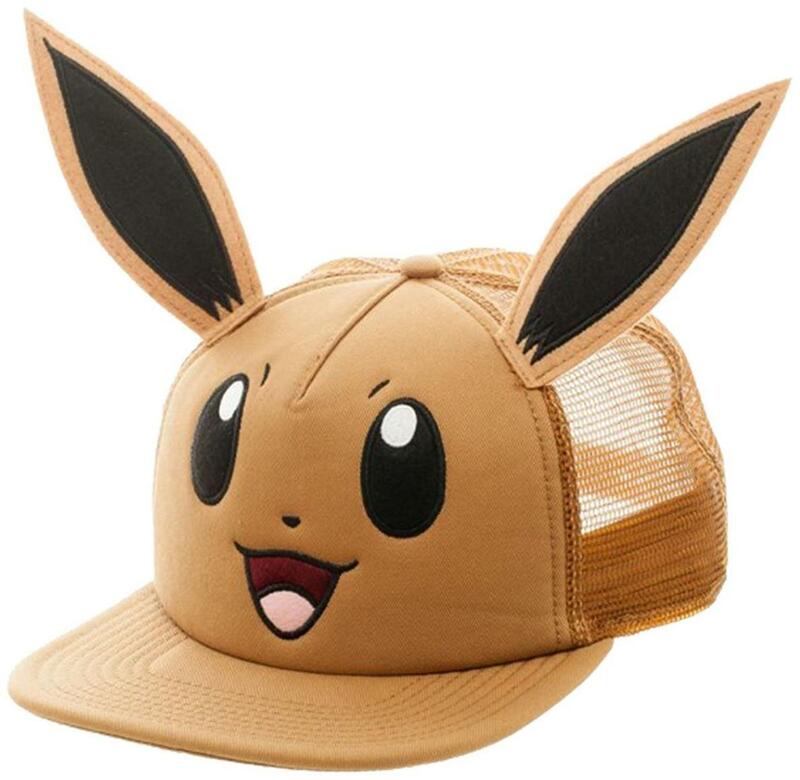 Brown snapback cap features Eevee's face with 3D ears attached on top.